Fearing possible persecution, hundreds of aliens fled Indiana’s UFO bases after Governor Mike Pence signed the Religious Freedom Restoration Act. Both of Illinois major UFO bases, Clow UFO Base in Bolingbrook and Hub 35 in Rochelle, are experiencing record breaking influx of visitors, many of whom left Indiana with only their space suit and a few days of supplies. Thomas Xavier, the New World Order’s overseer for Illinois’s UFO bases, expressed confidence that both bases could handle the sudden arrival of refugees. While supporters of the law say it will prevent local governments from creating an undue burden on religious believers, critics and aliens claim the law will allow discrimination if it can be backed up by religious belief. 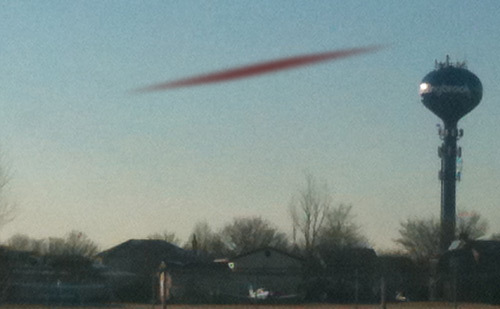 Despite reassurances by officials in Indiana’s Stellar Outreach department, many aliens, like Pochku, choose to flee. Loadock, a former resident of Heltonville UFO Base, claims that a local resident shot at the base, minutes after the bill was signed. Loadock claims that once the alien visitors were informed of the incident, they panicked. The aliens without a UFO, according to Loadock, tried to either bribe, fight or sneak onto a departing craft. Xavier insisted that the panic is unnecessary. Dave, a spokesperson for God’s Indiana, is glad aliens are leaving Indiana. Indiana officials could not be reached for comment. See you on April 13th!